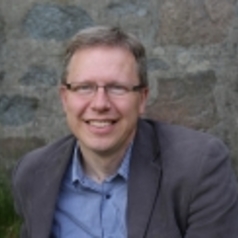 Dr. Tomas Bokedal holds a doctorate from Lund University, and was previously Lecturer at the Lutheran School of Theology in Gothenburg, Sweden. Educated in New Testament studies, theology and hermeneutics, Dr. Bokedal’s primary fields of research concern Christian origins and the relation of ‘Scripture and Theology.’ His approach to these topics involves research into the transmission of the gospel tradition, the technology of early Christian communication, the canon and canonical criticism, papyrology/codicology, textual and ritual theory, Pauline theology, early Christian confession, and patristic exegesis. He is a lecturer in the New Testament at University of Aberdeen and also very recently became an associate professor in the New Testament at the NLA University College, Bergen, Norway.